Whether you’re a resident or visitor, there’s always something to explore in the charming town of Pasadena. As real estate experts in the Pasadena area, here are our recommendations for you! 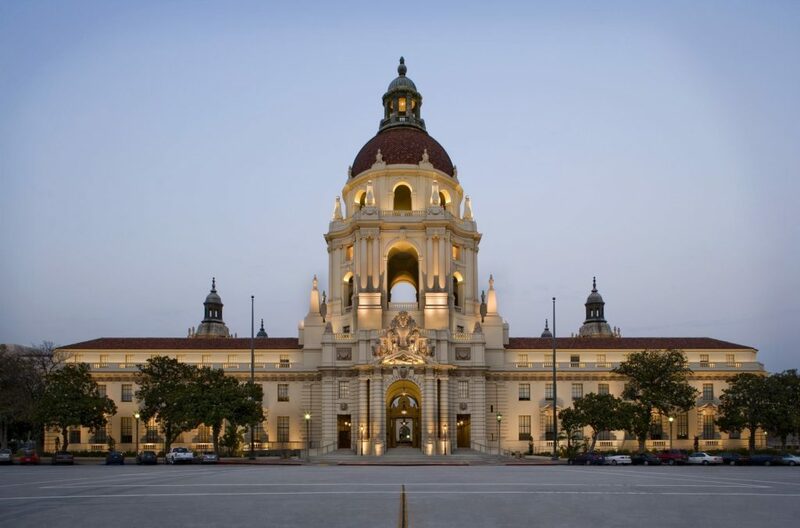 Pasadena City Hall – In the town center stands the majestic city hall. Influenced by early Renaissance style, it was completed in 1927. Recently in a nationwide contest to win “most beautiful city hall”, Pasadena was runner up to Peoria, IL. Old Town Pasadena – Looking to shop? Old Town offers a variety of stores for everyone. Tiffany’s, Paper Source, Sur La Table, Patagonia…you’ll find it all! Be sure to stop by Le Pain Quotidien for yummy pastries, salads & open face sandwiches and Copa Vida for a delicious almond milk latte. After a day of shopping, relax and unwind at Pop Champagne Bar, The Blind Donkey (for whiskey lovers) & The Speakeasy. You must have the night’s password to get into The Speakeasy; email info@speakeasypasadena.com to gain entrance. South Lake – Home to The Corporate Center, where The Parsons Team is located, South Lake is another delightful place to shop and dine. Visit Ten Thousand Villages for unique fair trade items, then enjoy lunch at Abricott, SECO or Green Street– don’t forget the zucchini bread! Get your caffeine fix at Phillz, their Ginger Snap coffee is excellent. Magnolia’s and Paul Martin’s are our top picks for happy hour and small bites. Rose Bowl – You can’t visit Pasadena, without visiting the Rose Bowl. Recognized as a United States National Historic Landmark, the Rose Bowl is home to UCLA Bruins and has hosted five super bowl games! Check out their calendar for concerts and events. If you’re around May 2017- U2 will be playing! Eaton Canyon, Sturtevant Falls and Echo Mountain – The San Gabriel Mountains are right in our backyard; go out and explore some of the best hiking spots in town! Wrigley Mansion – Now the official headquarters of the Tournament of Roses (also known as the Rose Parade), Wrigley Mansion offers historical tours & Sunday brunch, complete with a live band! Norton Simon Museum – Well known around the world, the Norton Simon offers “one of the most remarkable private art collections ever assembled”. If you’re a fan of art or history, make sure to schedule this in! Cal Tech – Einstein was a visiting professor for three years at Cal Tech, the renowned Science and Engineering Institute. TV show, The Big Bang Theory, is set at Cal-Tech and Astrophysicist Stephen Hawking made a cameo in one of the episodes! For a list of public events visit their page. Levit Pavillion – Grab your lawn chair and picnic basket for free outdoor concerts during the Summer. What are some of your favorite spots in Pasadena, CA. We’d love to hear!